Underlining its position as a great place to work, Impetus Infotech (India) Pvt. Ltd., a big data thought leader and a software services & solutions company, was recently ranked 14th in the list of ‘Dream Companies to Work for in India 2016’ at the World HRD Congress. 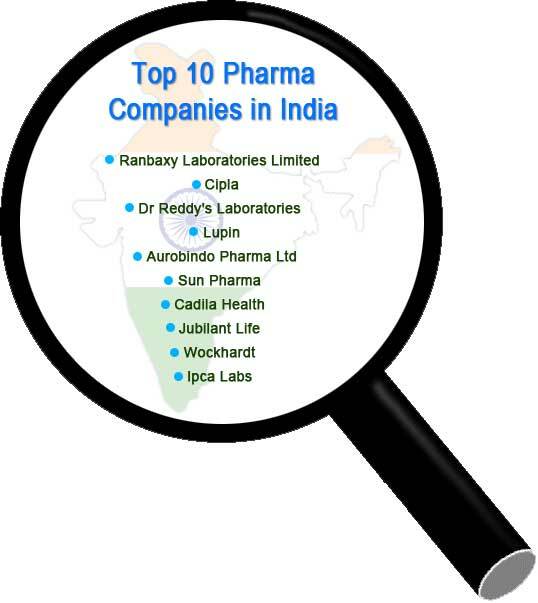 Impetus emerged as one of the leaders in this category which saw over 460 participating companies across multiple industries. This year Impetus was also recognized under two individual categories - Managing Health at Work and Institution Building. The company’s position as a leader in HRD was also bolstered by its VP – Operations & Human Empowerment Group, Sanjeev Agrawal, being named ‘The Most Influential HR Leader’ at the event which took place on February 16 in Mumbai. The World HRD Congress Awards recognise the efforts of organisations that have demonstrated excellence through their innovative programs, showing clear and measurable business results to drive organizational excellence. All nominations go through a rigorous six step process from receiving the entries to the final rankings. Entries pass through a thorough screening process after which they go to the Academic Council for their review. Once that is done, the entries are further evaluated by a Professional Council. As a fifth step, all shortlisted companies are requested to send their representatives for the Jury round and make a live presentation. After a detailed discussion and analysis, the final rankings are pronounced. The ‘Most Influential HR Leader in India’ award was decided by the jury after evaluating the credentials and achievements of individuals in the field of HR and the impact that that they have made in their companies, and was only conferred to 100 HR professionals in India. This achievement marked the first time an individual award was won in the HR space by Impetus. “I am overwhelmed by the recognition bestowed on me personally. Being honored at an individual level is doubly inspiring and motivates me further to maintain the healthy and inspiring work culture Impetus is known for,” he added. This is not the first time that Impetus is being recognised for their employee-friendly work culture. In 2015, Impetus was adjudged as a ‘Dream Company to Work for in India’ in the IT sector and a ‘Dream Company to Work For in Asia’. In 2014, it featured among the 'Top 100 Companies to Work for in India' by The Great Places to Work Institute in partnership with NASSCOM, and was also acknowledged as the ‘5th Best Company for Flexibility & Work-Life balance’. Impetus has been a consistent name in ‘Great Places to Work in India’ list for the past four years. 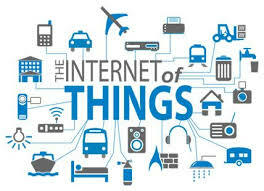 IBM and KONE, one of the global leaders in the elevator and escalator industry, announced the multiyear agreement in which IBM will provide cloud-based Internet of Things (IoT) technologies and services to drive innovation in smart buildings. 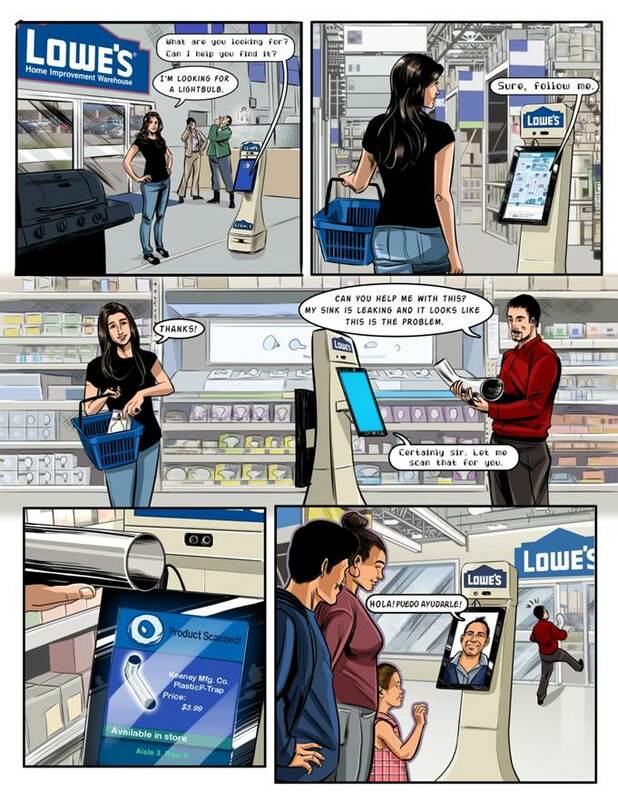 Through the agreement, KONE will tap into the IBM Watson IoT Cloud Platform to connect, remotely monitor and optimize its management of millions of escalators, doors and turnstiles in buildings and cities worldwide. The system will analyze vast amounts of data from sensors embedded in equipment helping to identify and predict issues and minimize downtime. 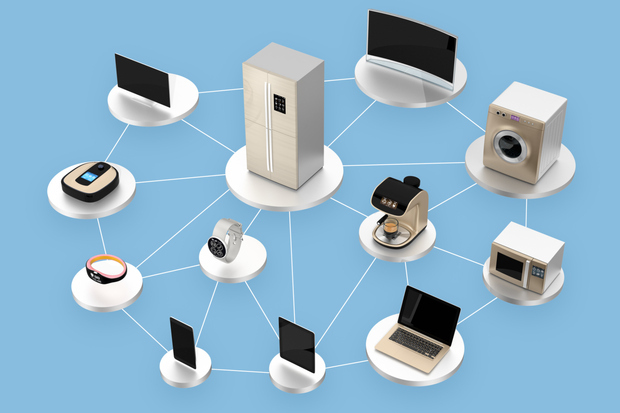 Instead of having to call in a service engineer, KONE will be able to predict and resolve selected technical issues remotely by running tests and making commands over the cloud. ”Our partnership with IBM is exciting and it is an important stepping stone to deliver the best People Flow experience,” says Henrik Ehrnrooth, President & CEO of KONE Corporation. ”We operate in a connected world and by working with IBM, new solutions like remote diagnostics and predictability means we will deliver even better services to our customers, and great experiences for the people who use our equipment." With real-time insight about the operation of its equipment, KONE’s plans to drive further innovation and develop new solutions and services to improve the flow of people in some of the world’s busiest cities and buildings. Using IBM’s open standards-based Watson IoT Cloud platform, KONE plans to allow a vast developer ecosystem via Application Programming Interfaces (API’s) to build new applications to make a smoother, safer and more personalized people flow experience for building users. For instance, community-based systems could help people pre-order elevators during the busiest times of the day or speed up evacuations during emergencies. As buildings get taller and taller with the capacity to serve tens of thousands of users simultaneously, there is increased pressure on elevators and escalators to keep people moving smoothly. KONE is leading the way in bringing together technology and innovation to meet the requirements of some of the world’s most ambitious and iconic buildings. Its projects include the Leadhenhall Building in London which features the world’s largest and fastest suite of panoramic elevators; the Makkah Clock Royal Tower Hotel, in Mecca, Saudi Arabia, which is the tallest hotel, clocktower and largest indoor space in the world; and the Jeddah Tower, Saudi Arabia, which at over 1km tall, will be the world’s tallest building when completed. The National Association of Software and Services Companies (NASSCOM) announces the fifth phase of NASSCOM 10,000 Startups ‘Konnect’ and will be impacting applications from technology startups across the country.This phase five is focussed on identifying, supporting, incubating, and accelerating innovative technology start-ups in India. For the fifth phase, NASSCOM has shortlisted 200+ domain centric applications from startups, which will provide a detailed overview of their business idea and the market opportunity. Startups who have applied in the last 4 months are now being considered for Phase 5 shortlisting and for the 10K Nurture program. The shortlisted startups will be pitching to over 100 investors in 6 locations and will have the access to participate in the intensive accelerator pitch and mentoring Konnect sessions. The program has strong support from 50+ industry experts (NIPP) and close to 100 incubator partners. The sessions will start in the first week of March across Bangalore, Delhi, Mumbai, Bangalore, Kolkata, Kochi and Hyderabad. In its last four phases, a total of 11,000 startups applied, 1,100 shortlisted and 500 have been impacted by way of funding, acceleration and mentoring. Some of their impacted startups include SmartVizX, Lazylad, EnglishDost, Flutura, SeekSherpa, Faircent, Hiree, Sliderule, Vidgyor, CustomerXPS to name a few. NASSCOM 10,000 Startups, is a startup incubation program whose objective is to create 10,000 domain specific startups in the country by 2020. Phase Four of the NASSCOM 10K Start-ups Konnect had 150+ startup shortlists that went through pitch and mentoring sessions. 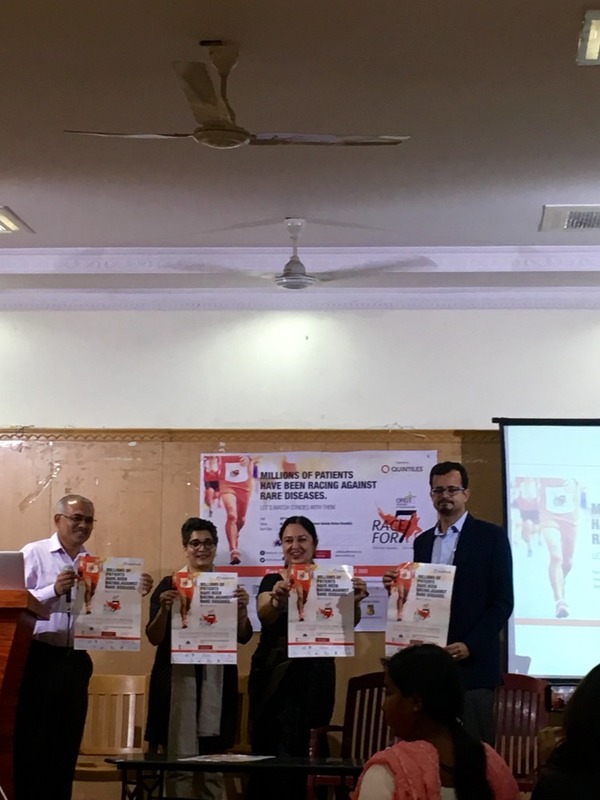 The Organization for Rare Diseases India (ORDI), a patient centered non-profit organization today announced Race for 7, a unique first of its kind event being held to commemorate Rare Disease Day and draw attention to the needs of rare disease patients in India. The 7km run to be flagged off on 28th February 2016 at St. Joseph’s Indian High School will target 7000 people to symbolically represent 7000 documented rare diseases matching strides and expressing solidarity with patients. The primary objective behind Race for 7 is to raise awareness about rare diseases and the needs and challenges of rare diseases patients in keeping with the global theme of Rare Disease Day which is Patient Voice. 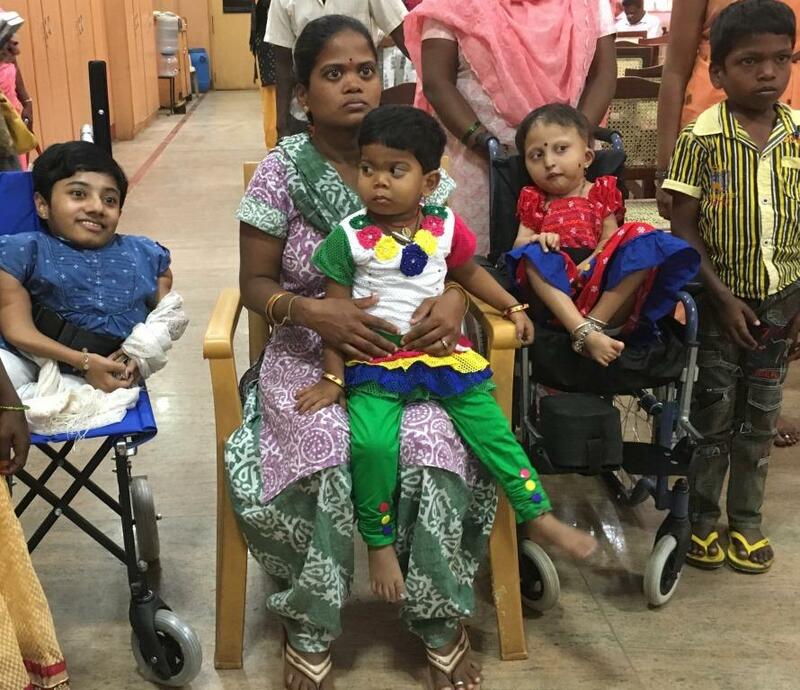 There are an estimated 70 million Indians or 1 out of 20 Indian who suffer from rare diseases. Almost half of these are children, most of who do not live to see adulthood due to lack of appropriate medical intervention. The scenario worsens due to lack of early diagnosis along with expensive treatment options which pose major hurdles in rare disease management. Race for 7 will raise funds to help ORDI in its mission to improve the health of patients with rare diseases across India through awareness, advocacy, collaborations and information dissemination. Rare disease patients who spoke at the media event highlighted the challenges they faced in living with a rare disease. Patients living with a rare disease and their families are often isolated. The wider community can help to bring them out of this isolation was the unanimous sentiment expressed by the patients who appealed for support in creating awareness about Race for 7 and urging the people of Bengaluru to come together for this noble cause and register for this unique race. It’s a roar against rare. Human-robot collaboration has come of age with collaborative robots (also called co-bots) designed to work with humans and assist them with a variety of tasks. Co-bots help automate and streamline repetitive and potentially unsafe processes thus, ensuring safe work environment while increasing productivity and efficiency. 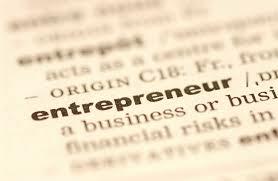 Given these advantages, small and medium-sized enterprises (SMEs) are eager to adopt this technology. In a human-machine study conducted by MIT researchers at a BMW factory, it was shown that teams made of humans and robots collaborating efficiently can be around 85% more productive than teams made of either humans or robots alone. Also, the cooperative process reduced human idle time by virtue of its pace-setting ability. With the goal of making robot technology accessible for small and medium sized enterprises, Universal Robots offers simple, flexible and affordable collaborative robot arms- UR3, UR5 and UR10 named after their payloads in kilos. Having sold over 7000 collaborative robots, and ranked #25 on MIT Technology Review’s 2015 list of the 50 Smartest Companies, Universal Robots continues to revolutionize the way industrial robots work and operate alongside workers. Workers can collaborate with the robots in close proximity on assembly lines with no safety guarding (subject to application risk assessments) The co-bots are easy to program and the first set up takes less than one hour. They can also be moved easily around the production facility for multiple applications. Flexible ±360 degree rotation of all joints allows usage in confined spaces. Infinite rotation of the UR3 tool is possible for screwing and drilling applications. The co-bots can be floor, ceiling, and wall mounted as required. “Advanced robotics is now accessible to anybody who wants to increase productivity while maintaining high safety standards. 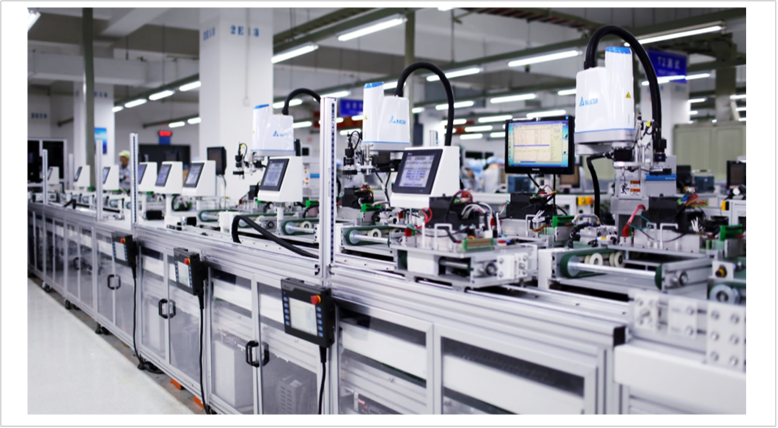 Our smallest collaborative robot is world’s most flexible, light weight, table top robot that has been embraced worldwide especially in the electronics and metal industries. We are growing our channel partner strength in all major locations of the country and will continue to expand our network in the coming years.” said Pradeep David, General Manager of Universal Robots’ India. “This is a proud moment for Denmark as we continue to establish ourselves as a country that believes in innovation and knowledge export as a way forward in bringing global communities closer. Universal Robots was named one of Denmark’s 30 most important export companies and received the Danish award for fast growth at Digital Gazelle last year. We believe that Universal Robots will enable our interest of supporting growth in various sectors of India with their world leading technology.” said Peter Taksøe-Jensen, Danish ambassador to India. 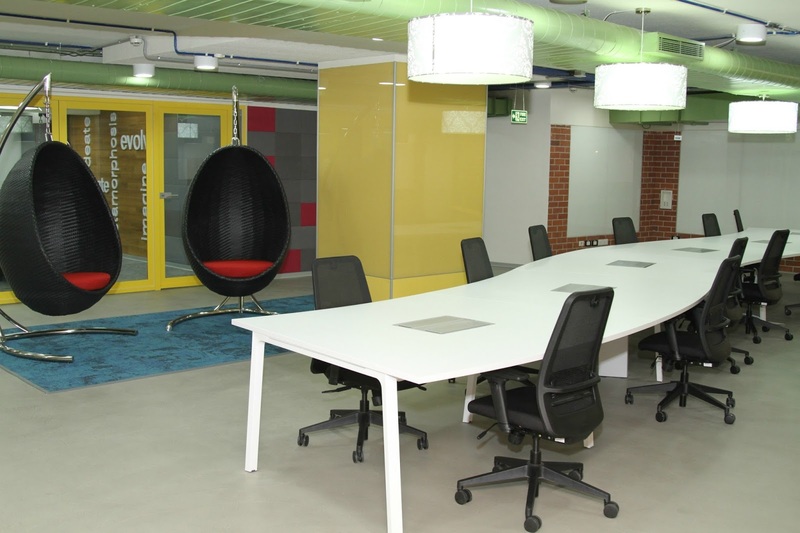 Lowe’s Innovation Labs (LIL), the disruptive innovation hub of Lowe’s Companies, Inc., announced has the opening of LIL-Bangalore and unveiled its new facility in the heart of Bangalore. The new lab will house tech-savvy startups that will participate in an intensive 16-week accelerator program and give them an opportunity to partner with Lowe’s and deploy their technology in the U.S. LIL-Bangalore’s primary focus and priority technology areas include augmented and virtual reality, 3D printing and scanning, and robotics. 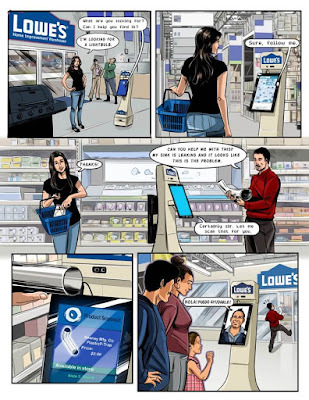 Lowe’s created LIL in 2014 to bring together uncommon partners with a commitment to get technology out of the lab and into the real world. Beginning with science fiction prototyping to craft a narrative for the future, LIL collaborates with startups and has introduced projects including the Lowe’s Holoroom, an augmented and virtual reality home improvement design tool, the OSHbot autonomous retail service robot and in-store and online 3D scanning and printing. 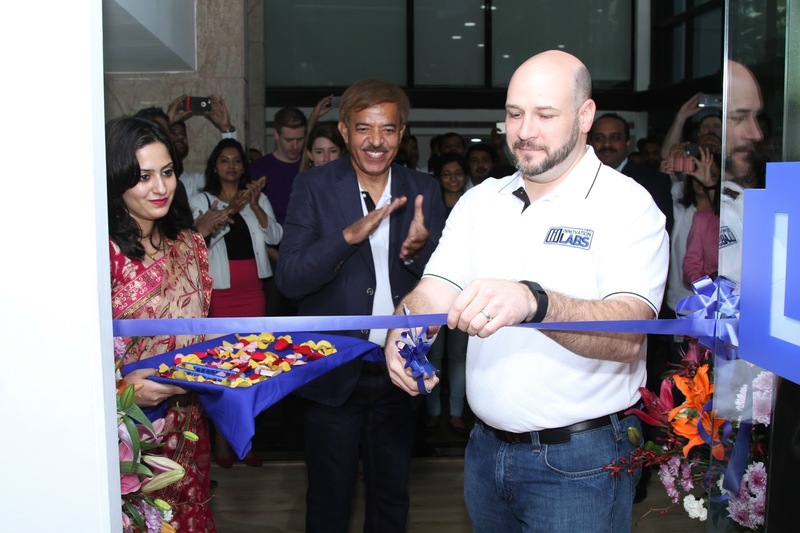 LIL-Bangalore will also complement Lowe’s existing Bangalore Global In-house Center (GIC), which has been operating since 2014 and has grown to include more than 400 employees working on technology and analytics solutions. 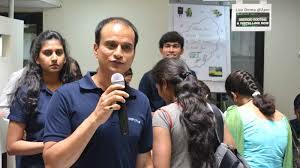 “Opening Lowe’s Innovation Labs-Bangalore further strengthens our long-term commitment to India. We are confident that it will complement our efforts and further establish India as one of the innovation hubs for the company,” said Lalit Ahuja, acting managing director, Lowe’s India. Seagate Technology plc, a leader in storage solutions, has announced it is shipping the world’s first 2TB, 7mm hard disk drive (HDD)— the Seagate Mobile HDD. This ultra-high capacity mobile hard drive is the lightest, fastest and most power efficient 7mm drive in the industry, enabling a richer and more rewarding experience for users without compromising demand for laptops that are slim, light, and powerful. Weighing just 3.17 oz., the diminutive Mobile HDD is 25 percent lighter than the previous generation of mobile hard drives. A smaller 7mm drive frees up valuable space in a mobile device to accommodate additional designed-in features, such as bigger batteries, more memory and better air circulation. 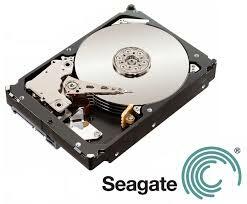 Utilizing 1TB per disk, the Seagate Mobile HDD delivers the highest capacity possible in a small 7mm form factor. Compatible with most of today’s mobile computers, the drive’s standard SATA 6Gb/s interface provides for easy integration into existing laptop designs and portable computer upgrades. With up to 2TB of space, the Mobile HDD enables affordable high capacity storage, while supporting over 200,000 photos, 250,000 songs or 124 hours of high definition video. 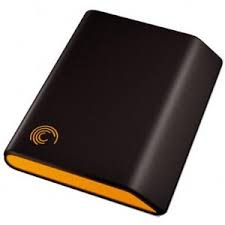 The drive is available in both 1TB and 2TB capacities. 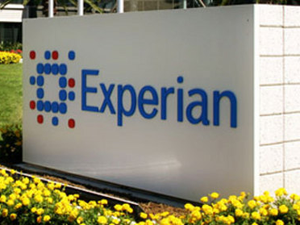 In India, Experian is the only provider of application fraud detection services using National Hunter. 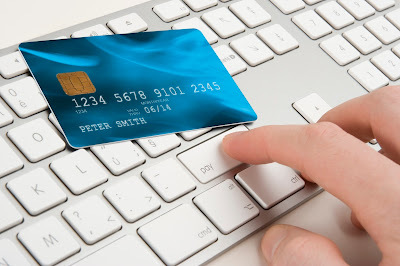 Experian National Hunter works in a closed user group format and helps the banking, financial services and insurance sector to prevent fraud and provide timely insight and analysis. The industry recorded savings of Rs 1,173 crore in FY15 due to applications screened using National Hunter. Recently, the Life Insurance Council in India selected Experian to set up the fraud repository framework in India. This development will have life insurance companies join the National Hunter closed user group along with leading banks and NBFCs in India. Poorvika Mobiles Pvt Ltd., Chennai’s leading multi-brand mobile phone retail chain, today announced implementation of Avaya’s end-to-end communication solutions comprising Video Conferencing, IP Telephony and Networking, across six floors of its new state-of-the-art head office in Chennai. The framework includes network infrastructure Avaya IP phones and wireless access points throughout the building along with video conferencing access enabling collaboration and knowledge sharing from anywhere, anytime. 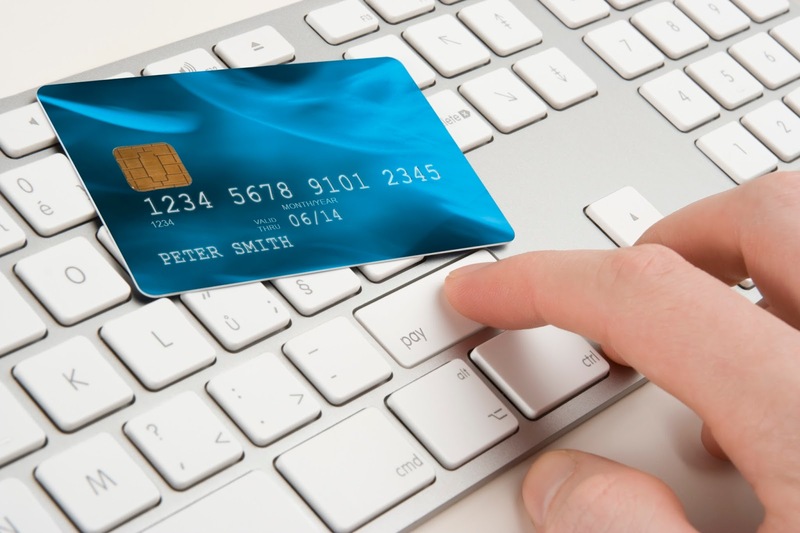 The consumerization of technology represents a significant challenge for mid-sized, growing businesses which aim to reduce overall costs while keeping up with technological advancements. Poorvika chose Avaya for its network solutions based on its reputation for stability, reliable service and connectivity due to robust & stable network and the ease of management. The solutions will be maintained by Avaya’s partner, SEC communications, which specializes in communication technology, audio and video conferencing, networking and security solutions. The enhanced high-quality, low-bandwidth video solutions will help Poorvika improve efficiency with employees and drive deeper relationships. Not only this, Avaya’s highly scalable IP phones will keep employees productive, even as they move through the building. Enhanced voice quality will help ensure that they communicate clearly and efficiently. It will also bring new cost savings with an opportunity to extend these solutions to the rest of their retail base in future, which currently comprises over 200 one-stop-mobile-shops across 43 cities in Tamil Nadu, Pondicherry and Karnataka alone. With over 240 outlets across 43 cities in South India and a workforce of over 3500 knowledgeable and committed professionals, Poorvika serves over 40 lakh satisfied customers. In the years to come, Poorvika aims at setting new benchmarks in innovative world-class mobile retail and has set its sights on emerging as India's largest retail chain for mobile phones and accessories. 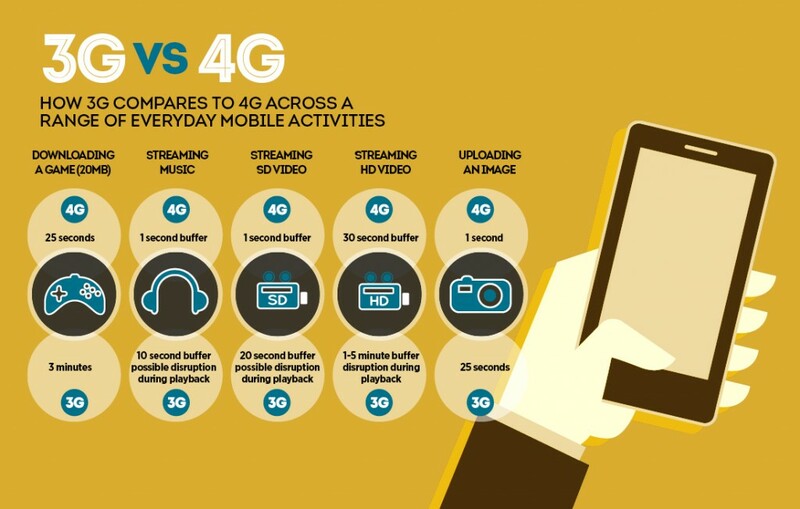 Idea Cellular, India’s fastest growing telecom operator, today announced the expansion of its high speed 4G LTE services across 37 towns of Andhra Pradesh and Telangana. Within less than two months the company has expanded its 4G LTE service footprint to 20 districts, including major towns of Hyderabad, Vijayawada, Vizag, Warangal, Kakinada, Nalgonda, Kadapa, Kakinada and Tirupathi; covering 18% of the total population of the circle. Idea Cellular is one of the leading player in the country with over 15.38 million satisfied consumers in Andhra Pradesh & Telangana. Idea provides extensive 2G coverage on superior 900MHz, extensive 3G coverage and has now introduced its high speed 4G LTE services with a wide network coverage. In December 2015, Idea Cellular had announced the launch of 4G LTE services in all 4 telecom circles (5 states) of South India, namely Kerala, Tamil Nadu, Andhra Pradesh & Telangana, and Karnataka. Earlier this month, the company launched services across 4 more circles (5 Indian states) – Madhya Pradesh, Chhattisgarh, Haryana, Punjab and Odisha, expanding its 4G LTE service footprint to 8 telecom service areas. Delta India Electronics, a leading provider of power and thermal management solutions, announced, at Elecrama 2016, the expansion of its RandD and manufacturing operations with new facilities in Bangalore and Hosur respectively, in line with its long-term plans to harness the country’s significant long-term growth potential. Delta India plans to develop smart energy management solutions with industry-leading energy efficiency at its new RandD centre which is expected to create up to 500 engineering jobs within the next 3 years. Within the next 10 years, Delta’s new factory in Hosur will create up to 20,000 jobs for the manufacturing of power electronics, renewable energy and automation solutions. Delta selected Bangalore for its new RandD centre due to the high quality and abundancy of its engineering talent pool for software and hardware development. This new RandD centre is expected to create up to 500 high-tech jobs within the next three years and focus on technologies such as mega-watt scale power conversion and power quality. The new plant in Hosur is expected to start operations in early 2017 and will supply the local marketplace with smart, high-efficiency telecom power systems, industrial automation solutions, UPS, renewable energy inverters and converters as well as solutions for display and monitoring. Dalip Sharma, managing director of Delta India Electronics, remarked, “Delta is recognized as a sustainable enterprise by world-class institutions such as the Carbon Disclosure Project (CDP) and the Dow Jones Sustainability Indices (DJSI) given its commitment to the development of solutions that truly help customers save energy. Providing telecom networks with green power, enabling energy-efficient and smart manufacturing processes and data centres and even realizing green buildings are part of Delta’s contributions for a better tomorrow”. 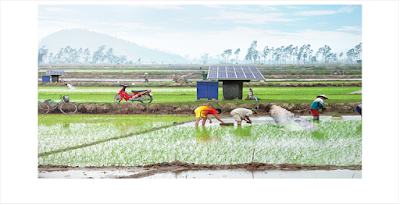 “At Elecrama 2016, we exhibit for the first time in India, our entire portfolio of smart solutions with industry-leading energy efficiency for a wide range of sectors such as green energy generation, industrial automation, telecom and even agriculture. Our track record includes the implementation of a smart monitoring solution for ATMs that provides a safe environment for banking customers across India while protecting the banks’ infrastructure. 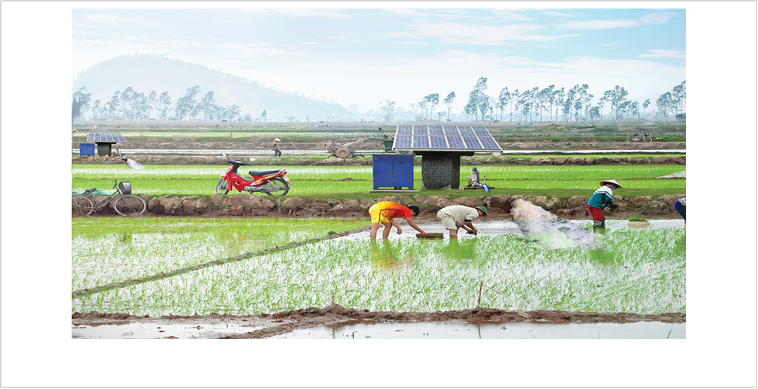 Also, our PV inverters, featuring the world’s highest energy efficiency of up to 98.7%, support residential, commercial and megawatt-scale projects; our innovative solar trackers increase output by up to 30% versus fixed-mount structures; and our VFD controllers combine with solar power to provide Indian farmers with a clean and energy-saving water pumping solution for irrigation”, Sharma added. Wind River, a global leader in delivering software for the Internet of Things (IoT), has announced that networking equipment manufacturer Raisecom is making the move to Network Functions Virtualization (NFV) by using Wind River Titanium Server to develop virtualized small cell gateways. As their entry into NFV, Raisecom is virtualizing small cell gateway functions. Carriers employ small cells to offload mobile network data and use radio frequency more efficiently, helping them to extend service coverage and increase network capacity. Realizing that the development of a high-performance NFV platform for their gateways would be too costly and time-consuming, Raisecom turned to Wind River. Using Titanium Server as an NFV infrastructure platform, Raisecom reduced product testing and qualification costs by 20% compared to testing costs for traditional small cell gateway hardware, while decreasing time to market by 30%. Titanium Server is a carrier grade NFV infrastructure software solution designed to meet the stringent "always on" requirements of the telecom industry. By using Titanium Server, the industry may enjoy the best of both worlds: the rapid service deployment typically found in enterprise networks along with the carrier grade uptime and reliability mandated by telecom networks. Based on technologies using open standards, including carrier grade Wind River Linux, real-time Kernel-based Virtual Machine (KVM), carrier grade plugins for OpenStack, Data Plane Development Kit (DPDK), and accelerated vSwitch technologies, and optimized for Intel architecture, Titanium Server brings together high performance and carrier grade reliability. 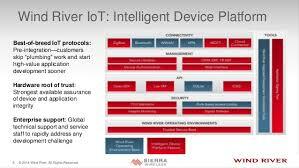 Titanium Server is part of the Wind River Helix portfolio of products enabling IoT advancements, from the secure and managed intelligent devices at the edge, through gateways, across the network, and up into the cloud. 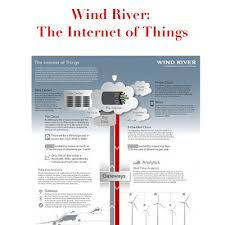 Additionally, through the Wind River Titanium Cloud program, Wind River provides an ecosystem that helps ensure the availability of optimized, interoperable solutions that accelerate time-to-market for service providers and telecom equipment manufacturers deploying NFV infrastructure. Magma, registered with the Reserve Bank of India (RBI) as an Asset Finance Company, has been operating successfully in India for over two decades, and is listed on the Bombay Stock Exchange and the National Stock Exchange. Magma provides a range of financial products including financing of utility vehicles and cars, commercial vehicles, construction equipment, and many others. It also serves customers in the Affordable Housing Finance, General Insurance and Gold Loans segments. The company has around 450,000 customers with 274 branches across 21 states and one union territory, supported by close to 10,000 employees. With massive amounts of data generated every day from many different sources, Magma was struggling to use Oracle and Microsoft Excel to manage and analyze data across its business. The company was spending an enormous amount of time and resources preparing static reports via Microsoft Excel, which did not provide rich insights for effective decision making. Magma realized it needed an alternative solution that empowers users to consume and analyze data in a faster, simpler, and more intuitive manner. Qlik is the only company that met its requirements, as it delivers a visual analytics platform that lets users see the whole story in their data through its unique associative model. “We wanted to implement a Business Intelligence solution at the enterprise level in a fast manner and without waiting to have a traditional data warehouse in place. This posed the challenge of preparing data from disparate sources. Qlik provides our business users with an easy to use, searchable and quick to deploy platform to quickly and easily analyze and explore data. 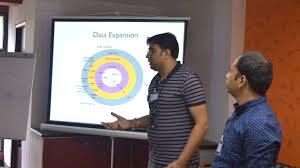 It also helps us spot trends, insights in seconds thus helping us to become more agile decision making. We are upbeat about Qlik’s latest innovations like the Qlik Analytics Platform, which will allow us to cater to the data analysis needs of thousands of Magma’s external agents on their mobile,” Manoj K Mishra, Vice President of Technology, Magma. “We are very pleased with the strategic choice Magma has made in Qlik. We continue to see rising demand from companies that want to transform their business and increase their competitive edge with a powerful and flexible visual analytics platform. With Qlik’s powerful enterprise-class capabilities, organizations can successfully drive data-driven strategies and accelerate their businesses,” said Souma Das, Managing Director, Qlik India. Swedish telecom gear maker Ericsson has been selected by Idea Cellular to deploy 4G/LTE network in select circles and transform the firm’s existing 2G and 3G infrastructure. The LTE deployment will cover Maharashtra, Madhya Pradesh, the North—East and Himachal Pradesh, which serve over 40 million subscribers. The agreement also includes transformation of Idea Cellular’s existing mobile radio access and core network infrastructure across nine circles for 2G and five circles for 3G. The company, however, did not disclose the financial details. “The contract covers equipment, software and a range of professional services, including project management, systems integration and supervisory managed services for 4G/LTE across select circles for two years,” Ericsson said in a statement. Idea, the country’s third-largest mobile operator, has launched 4G LTE services in eight telecom circles — Andhra Pradesh and Telangana, Tamil Nadu, Karnataka, Kerala, MP and Chhattisgarh, Punjab, Haryana and Odisha, and is looking to expand to 750 towns across 10 circles by June 2016. 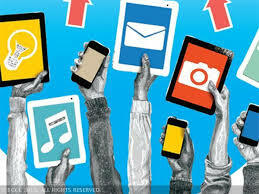 “We are committed to offering our customers the best possible mobile experience. 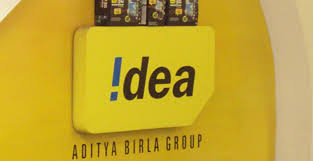 Transforming our 2G and 3G network will enable us to offer optimised mobile data and better smartphone performance while our LTE deployment will take the customer experience on Idea Cellular’s network to the next level,” said Idea Cellular CEO Himanshu Kapania. Ericsson is present in all high-traffic LTE markets, including the US, Japan and South Korea, and is ranked first for handling global LTE traffic — 40 per cent of the world’s mobile traffic is carried over Ericsson network. “The latest Ericsson Mobility Report shows that India added more mobile subscriptions than any other region in the third quarter of 2015. These subscribers are increasingly demanding better network quality and superior services,” said Ericsson India Head Paolo Colella. 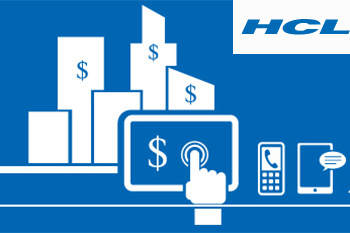 HCL Technologies has completed the outsourcing deal with Swedish auto major -- Volvo Group for infrastructure and application operations, making Volvo ready for the rapid advancements in business enabling technology such as cloud, automation, business intelligence and big data. HCL also acquired Volvo’s external IT business, adding 40 new customers from Nordics and France to its portfolio, further enhancing its position in these regions, the company said. The deal follows a Letter of Intent that was announced by Volvo Group in October that HCL will use its 21st Century Enterprise Framework to deliver on a technology transformation roadmap for optimising Volvo Group’s infrastructure and application operations. Around 2,500 people working for the Volvo Group will transfer to HCL across 11 countries, it said. According to sources, the deal is pegged around $138 million (around ₹895 crore). The company said Volvo IT customers would now have the advantage of access to a broad range of differentiated global capabilities, tools and processes that integrate with technology environments at a global level. It would also create an automotive centre of excellence in Gothenburg based on the domain expertise of the Volvo team, to serve HCL’s global automotive and manufacturing customers. “We welcome over 40 new Volvo IT customers to the HCL client base. This addition enables HCL to achieve an even stronger presence in the Nordics and the wider European region, and accelerates our journey in these markets,” said Anant Gupta, President and Chief Executive Officer, HCL Technologies. “Combining the strengths of HCL with those of the transferred parts of Volvo IT will result in an organisation with formidable capabilities and an intimate understanding of Volvo Group needs and opportunities,” said Olle Högblom, CIO of the Volvo Group and President of Volvo IT.